Today we have the pleasure of welcoming Austen Gilliland, of Nova Scotia, Canada, to our Contributors page. Austen is an editor, writer, and knitter, and as a resident of Canada, she has been known to spell words with bonus U’s and to transpose the letters E and R on occasion. Just kidding! Welcome, Austen. 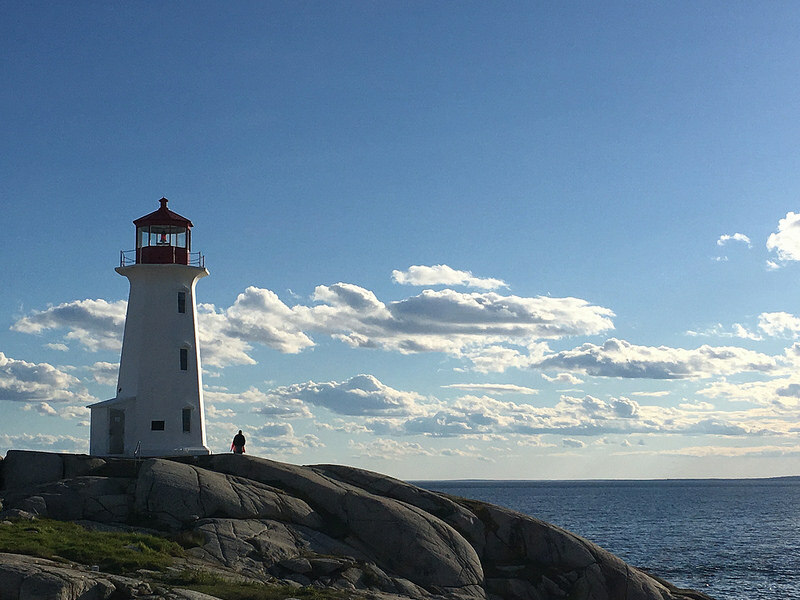 Better known for lobsters than sheep, Nova Scotia probably isn’t the first place to spring to mind when you consider the ideal knitter’s vacation. But then again, you might not know the province’s secret motto: It’s always sweater weather in Nova Scotia! That’s right—always. Here, you’re rarely more than a 20-minute drive from the Atlantic Ocean, and the cool sea breezes blow onshore all year round. Even in August, there’s nothing better than emerging from the ice-cold waves and pulling on a sweater and a pair of woolly socks. Of course, there’s more to Nova Scotia than a chance to show off your handknits. The knitting tourist is spoiled for choice in New Scotland. Here’s my plan for a knitter’s long weekend in Nova Scotia. Begin your trip in Halifax, the province’s capital city. 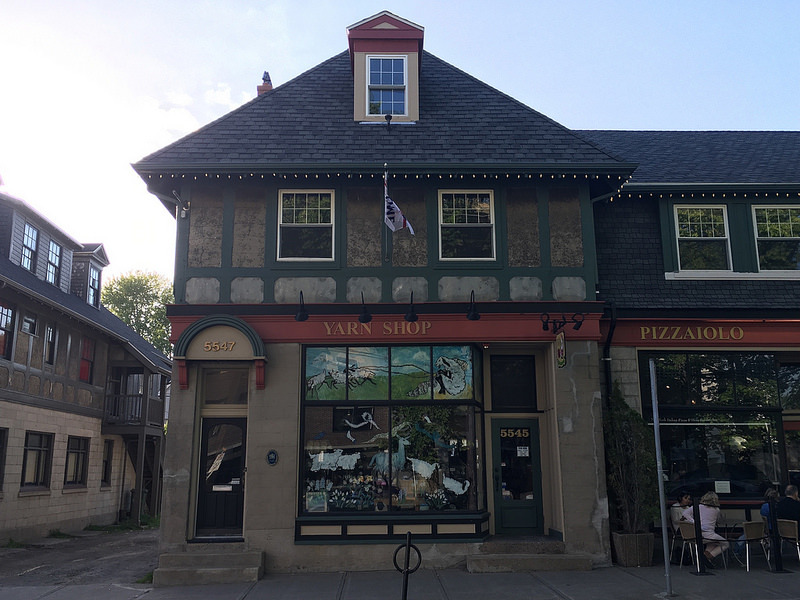 There’s no shortage of places to visit—a stop to see folk artist Maud Lewis’s house at the Art Gallery of Nova Scotia is a must—but my two favourite locations are a little farther uptown. 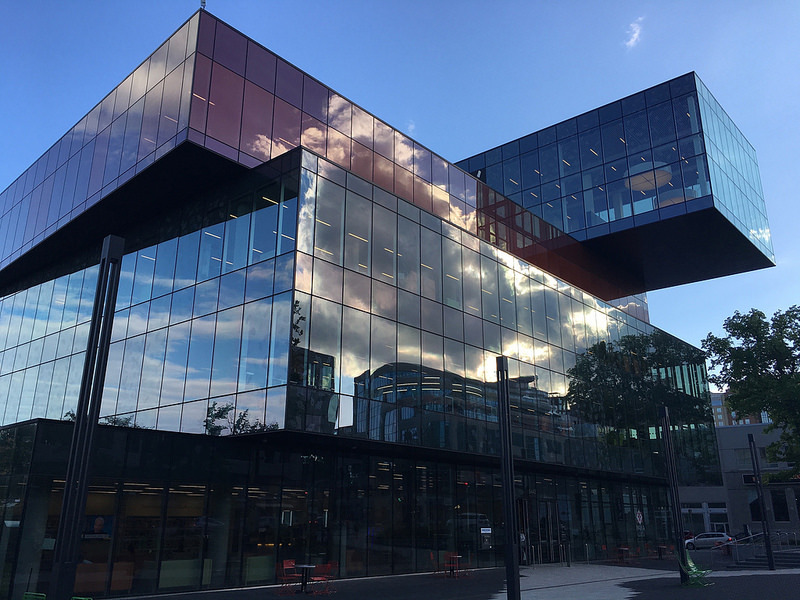 The stunning Halifax Central Library opened in late 2014, and since then it’s become a favourite destination for locals and tourists alike. Climb the soaring central staircase to the rooftop terrace for a panoramic view across the Halifax Harbour—the perfect backdrop for a spot of knitting in public. 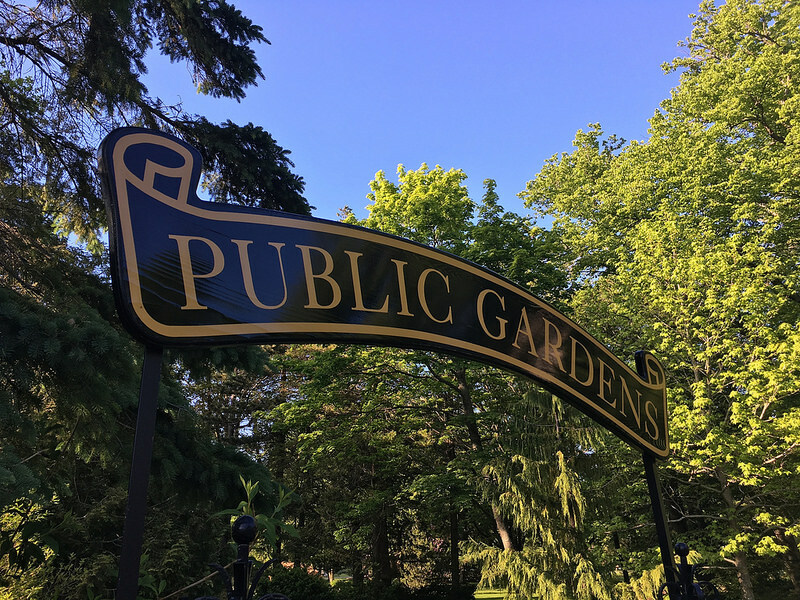 A few blocks up the street, you’ll find the Halifax Public Gardens. 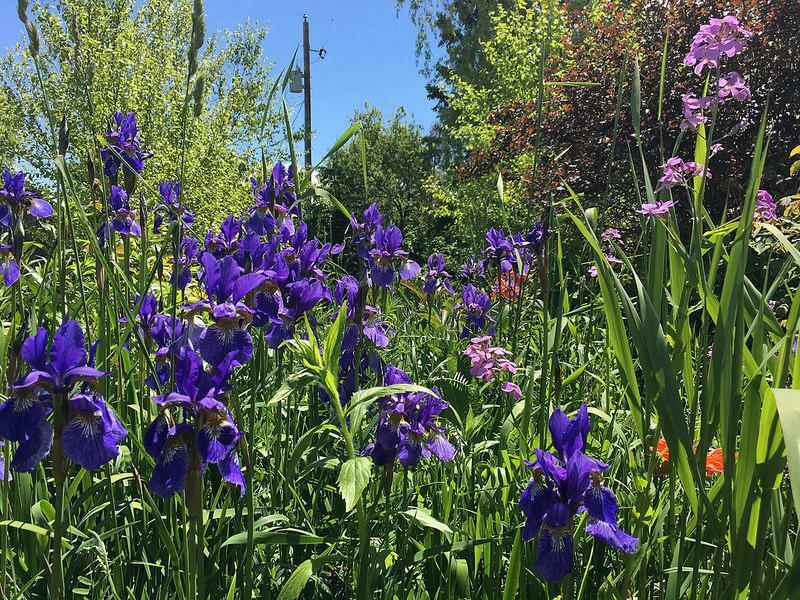 The floral displays change throughout the year, so there’s always a good reason to stop and smell the flowers. To really gild the lily, stop at Dairy Bar for one of their over-the-top ice cream sundaes. Next stop: Patch Halifax. This independently owned fabric store is a trove of fabric, patterns and sewing books. Inspiration abounds in this bright, cheerful shop. You’re virtually guaranteed to come away clutching a fistful of fabric in one hand and a brand-new pattern in the other. Be sure to ask about the shop’s magical Kielo dress! Heading north from Patch will take you to the Hydrostone Market. 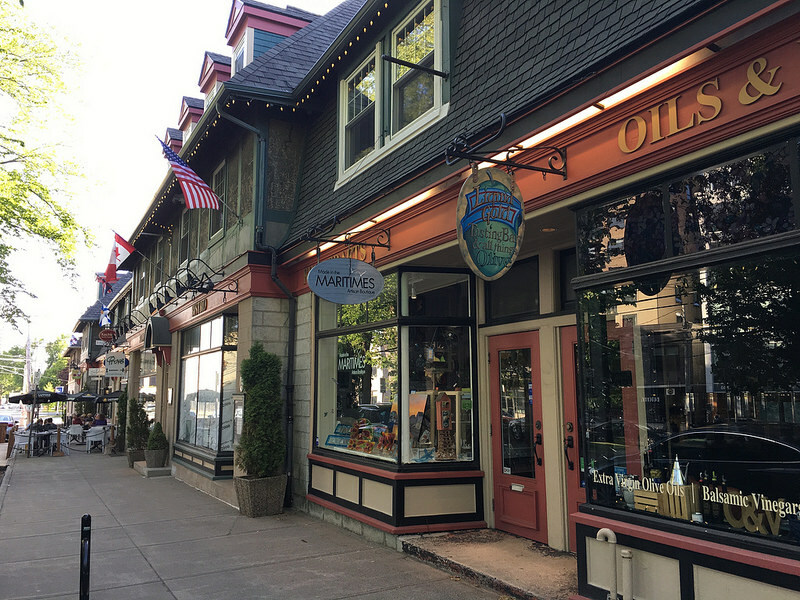 This area was devastated by the Halifax Explosion, but 101 years later, it’s a vibrant neighbourhood filled with small shops, restaurants and enchanting nooks and crannies. You’ll find everything from pizza to croissants here, good fuel for the next stop, LK Yarns. 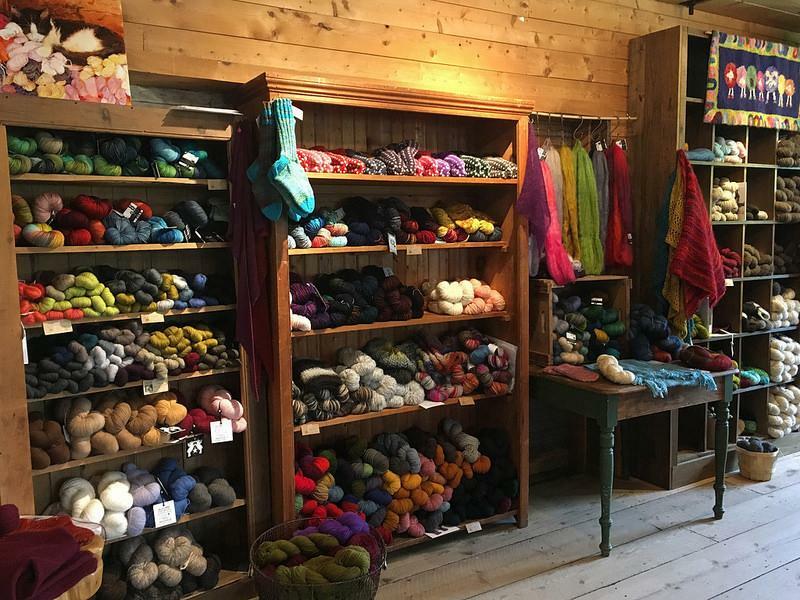 You never know what you’ll find in this shop—it’s literally packed to the rafters with yarn. 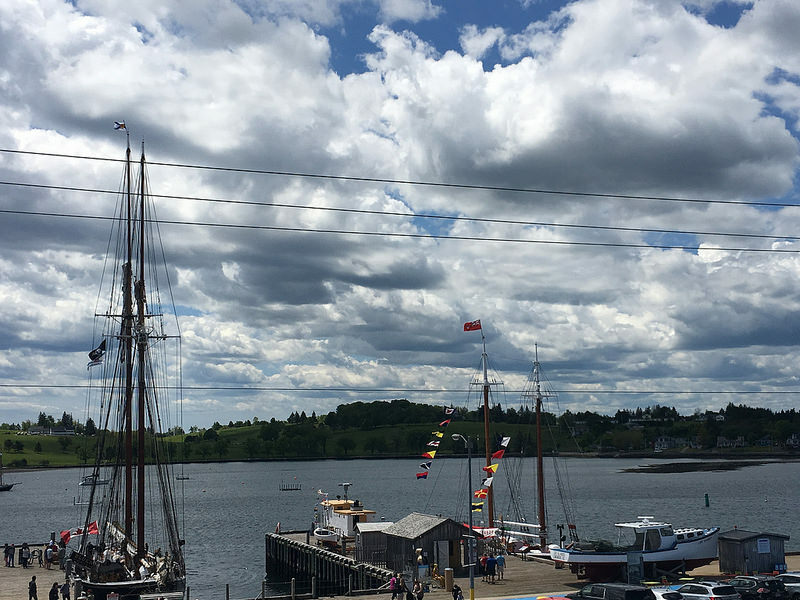 About 75 minutes west of Halifax lies Lunenburg, a UNESCO World Heritage Site. 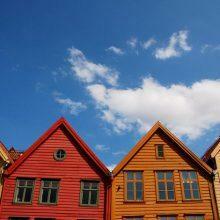 Here, colorful houses sit cheek by jowl with quirky shops, and tall ships line the waterfront. 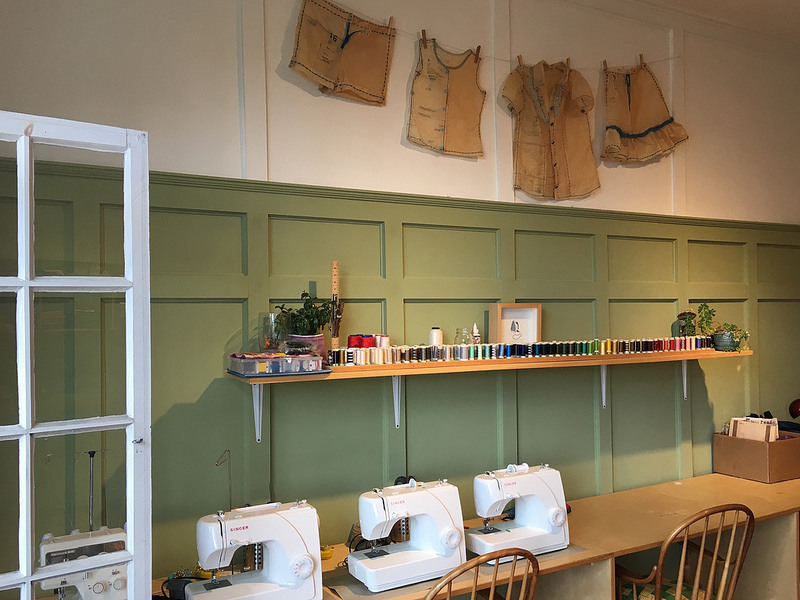 Check out The Lunenburg Makery, where you’ll find fleece, fabric and unique craft kits. If you’ve got time, take a class in their sunny workroom, and enjoy the sea breezes blowing through the open windows. 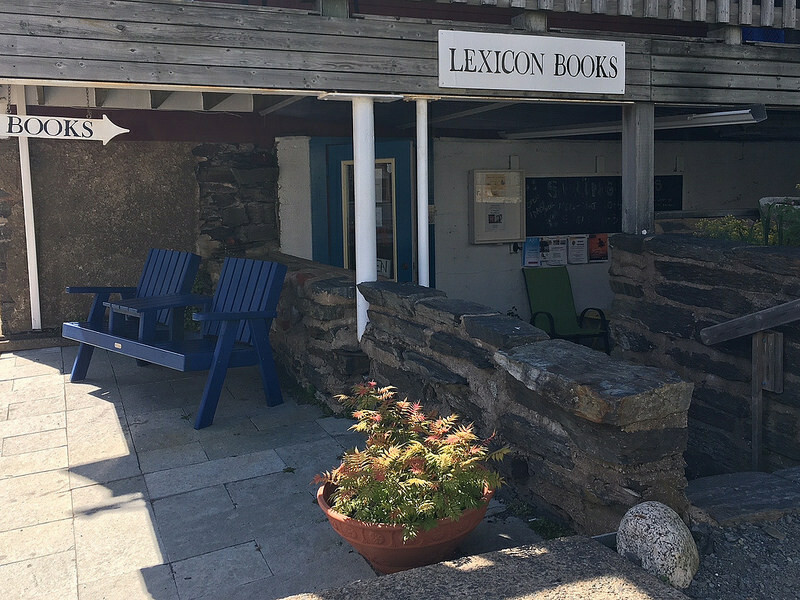 Lexicon Books is your next destination. Here you’ll find a handpicked selection of novels and non-fiction titles. The owner has read almost every volume in the store, so be sure to ask for a recommendation. Now, the main event: yarn! 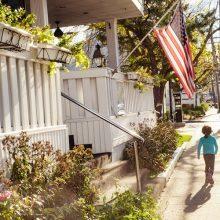 You’ll know The Mariner’s Daughter by its emerald storefront and cheerful yellow sign. Step inside this jewel-box shop and discover a curated selection of treasures. Behold yarns in every shade, from Julie Asselin’s mellow palettes to Lichen and Lace’s locally inspired hues to Uschitita’s vibrant speckled skeins. 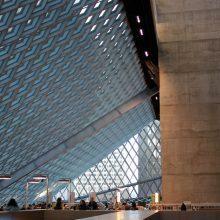 You’ll definitely find something worthy of space in your suitcase here. Ready for lunch? 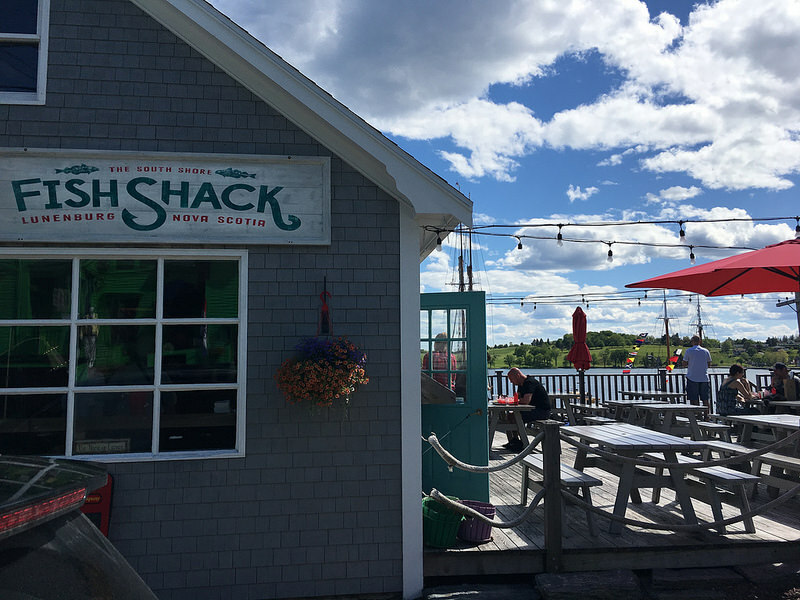 Step across the street to The South Shore Fish Shack, where fresh-caught fish, lobster and clams are the stars of the show. 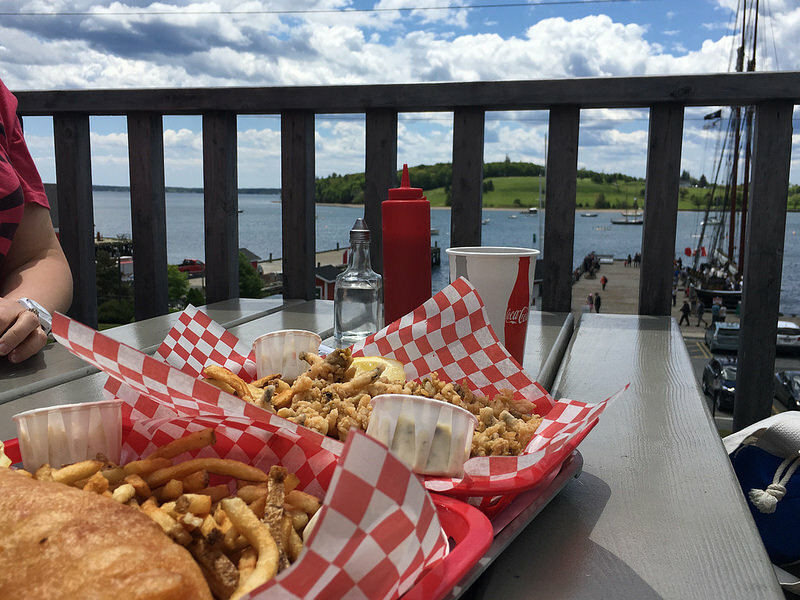 Enjoy your meal at a picnic table overlooking the harbor. If you’re lucky, Nova Scotia’s famous schooner, the Bluenose II, will be in port. 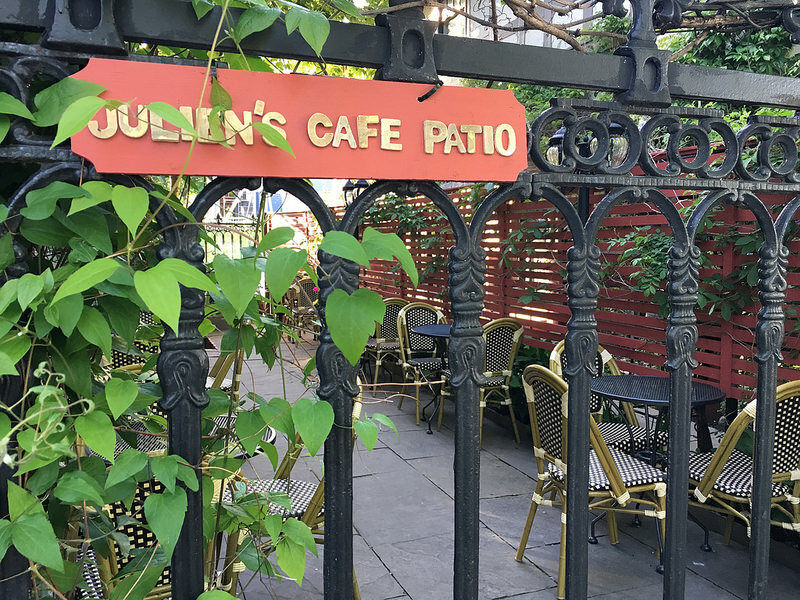 Before you leave town, stop in at the quirky No. 9 Coffee Bar and retro-chic Ironworks Distillery for two very different, but very enjoyable, kinds of pick-me-up. On the way back to Halifax, make sure you stop at Peggy’s Cove. 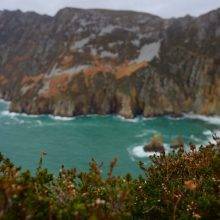 Feel the mist in your face and contemplate the power of the ocean as the waves crash against the rocks below. Now take a photo of the iconic lighthouse and proceed to the restaurant for a slice of gingerbread cake. It doesn’t get much better than that. The Annapolis Valley is Nova Scotia’s farming belt, just an hour’s drive from Halifax. In contrast to yesterday’s rocky shores, today you’ll encounter rolling farmland, lush green hills, and the visually arresting red mud flats of the Minas Basin. 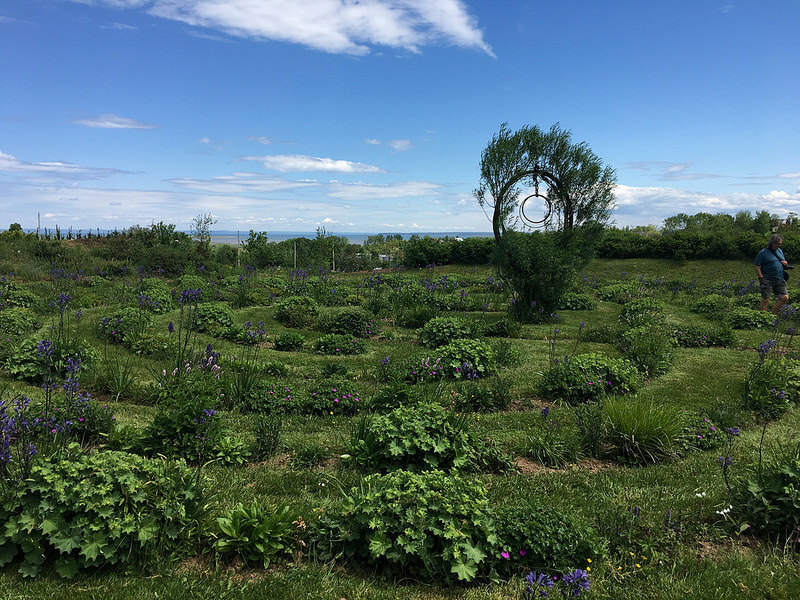 Make Tangled Garden your first stop—it’s well worth the $5 admission fee to wander through the gardens. 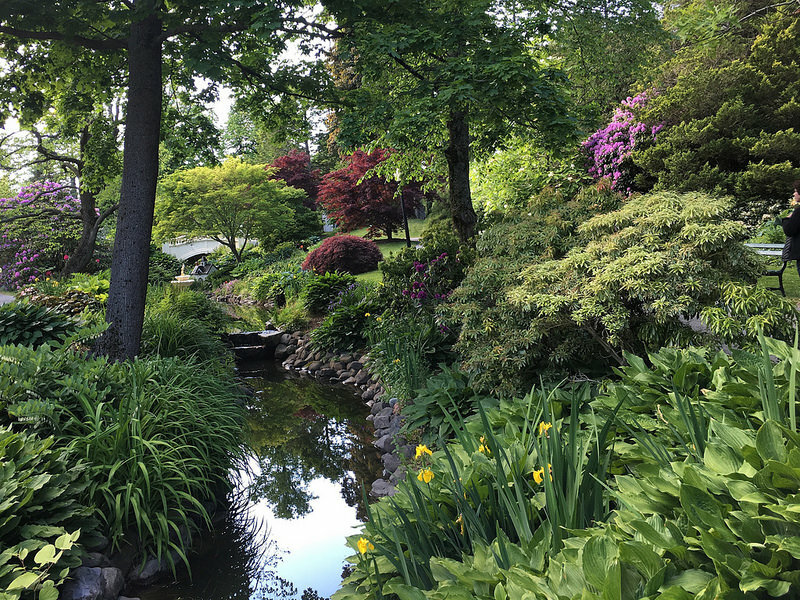 Pause to make a wish by the fishpond, then enjoy a contemplative walk through the labyrinth. 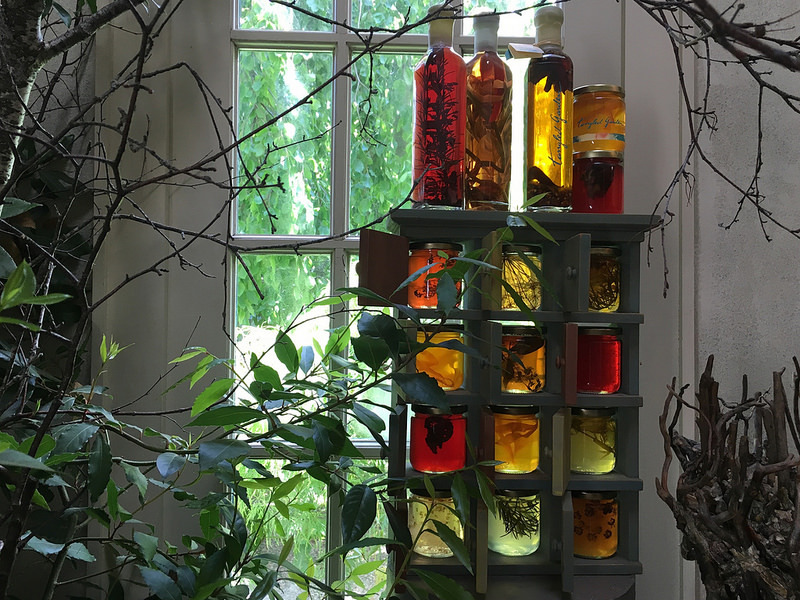 Tangled Garden sells jams, jellies and vinegars that taste even better than they look. If local beer is more your thing, continue to the Port Pub. 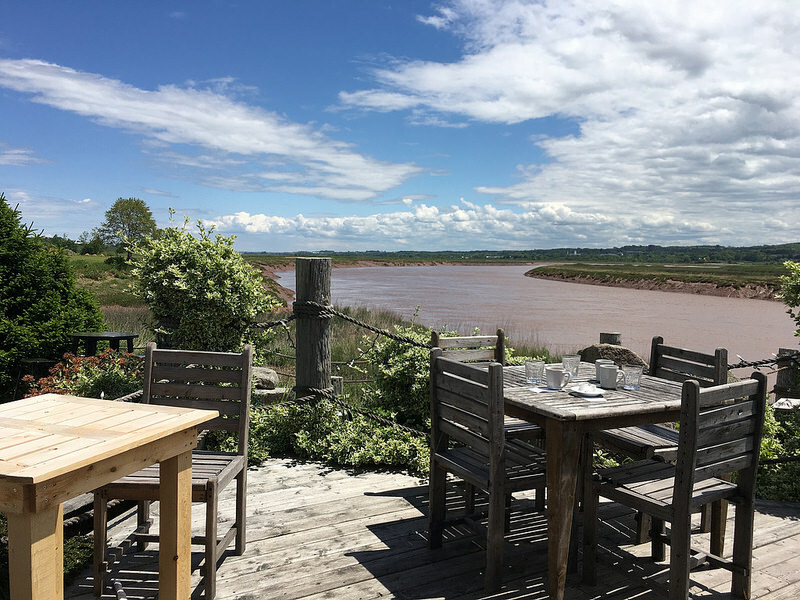 Enjoy a flight of local ales and a plate of fish cakes while sitting on the patio and watching the tide flow in (or out). 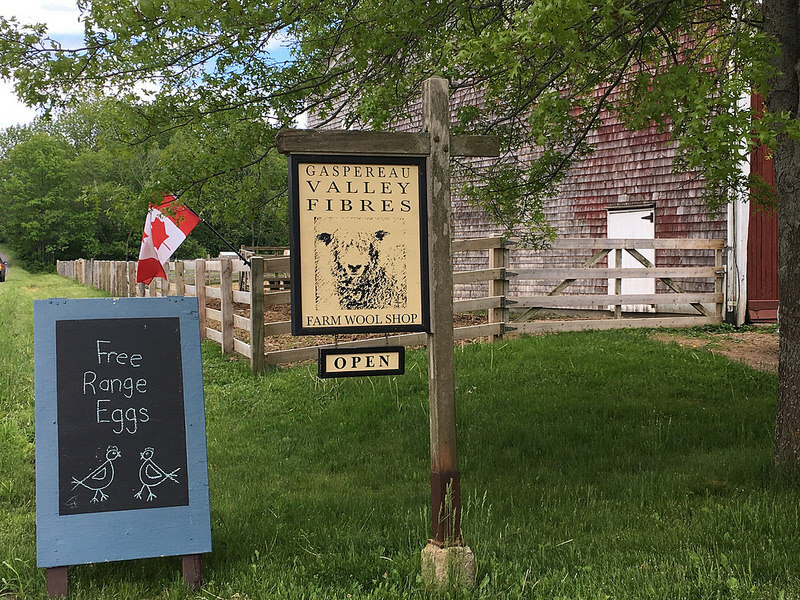 Just outside of Wolfville, you’ll find Gaspereau Valley Fibres, housed in a renovated barn on a working farm. The sheep aren’t just for decoration; inside you’ll find yarn spun from their fleece. GVF started out as a weaving supply store, then diversified to serve knitters and spinners, too. If you like local yarn featuring natural colors and fibers, with labels that often include the names of the sheep that provided the fleece, you’re in luck. Look for yarn from local favourites Fleece Artist and the Mineville Wool Project. Heading back to the city, watch for fruit stands and honesty boxes on the side of the meandering country roads. 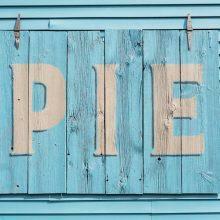 They’re the best source for fresh fruit, cheap perennials and even homemade pies. That’s just a taste of what Nova Scotia has to offer knitters on tour. Hope to see you soon—and don’t forget your sweaters! Here’s a Google map of Nova Scotia. You never know when you’ll get the chance to go to Nova Scotia. Here’s how to save this article in your MDK account with one click. Don't forget to leave room in your suitcase for souvenirs, fibery and otherwise. You had me at “its always sweater weather”! Lovely. Always sweater weather, you say? Next time in breaks 100 in Chicago, I am heading to Nova Scotia!!! You don’t have to ask me twice. I want to come this Fall but Family stuff abounds, I’ve already pencilled in a date for next Spring. OMG I love love love this post…and know every spot in it. BUT you forgot THE LOOP, Mimi’s amazing knitting shop on Barrington Street in downtown Halifax. It’s an incredible selection of gorgeous fibre but the best part of it all is Mimi. She’s inspired/saved/talked me through many a project. I’d have love to have included Have a Yarn in Mahone Bay, and the Lismore Sheep Farm in River John, and Tatamagouche Yarn and Company in Tatamagouche…. and I’m hoping that people will list their other local favourites, too! After all, there’s still half a summer to fill with weekend road trips! I think you should do a separate article on the Northumberland Shore, starting at Mable Murple’s Bookstore, and ending at Deanne Fitzpatrick’s studio in Amherst. 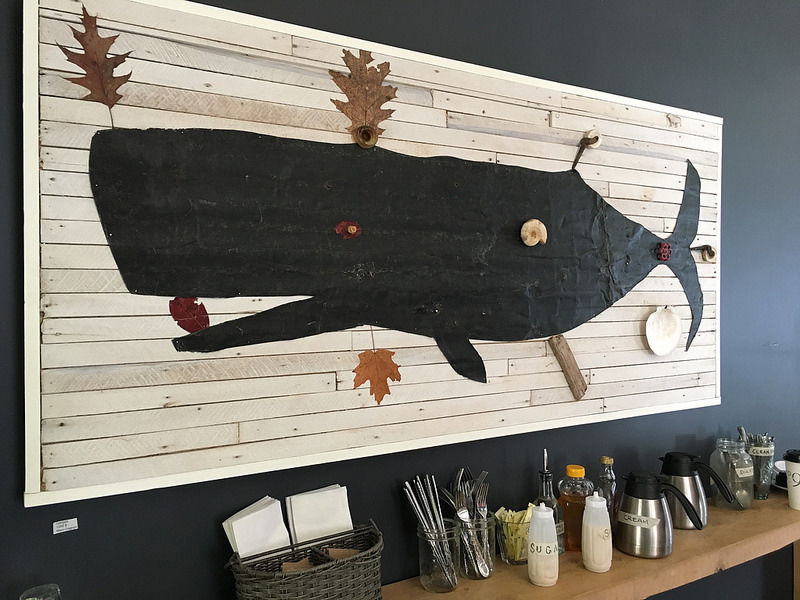 Mahone Bay is a vibrant and woolly destination. Have a Yarn and Woolworks are my favourites. Plenty of places to eat as well and The Barn for specialty coffees. You’re right, Elly! It’s my favourite destination if I want a quick trip out of the city on a Sunday afternoon. Just tried The Barn a couple weeks ago…I’m *still* thinking about the cinnamon bun I had there! We’ve been going to PEI & Nova Scotia for years as a break from the hot Texas summers (although we’re now in NC). They are magical places! 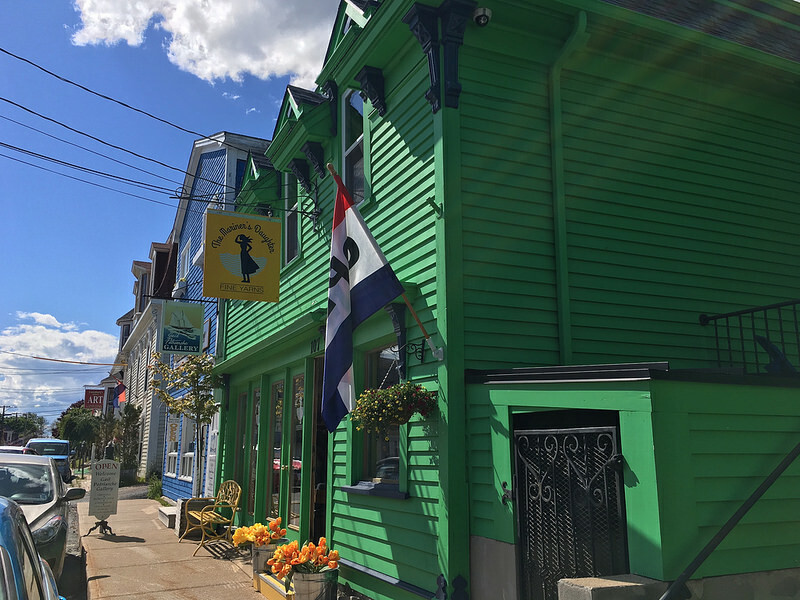 Great overview of what NS has to offer for knitters, but I can’t believe you left out Mahone Bay — if you’re already going to Lunenburg, you should definitely make a stop in this town 10mins away for Have a Yarn, a picture perfect view of the three churches, and a tasty treat at The Barn Coffeehouse. I would also highly recommend Wool n’ Tart in Wolfville — same owners as Gasperau Valley Fibres, but a different selection of goodies and staff that are sweet as pie. So many great destinations, so little room! 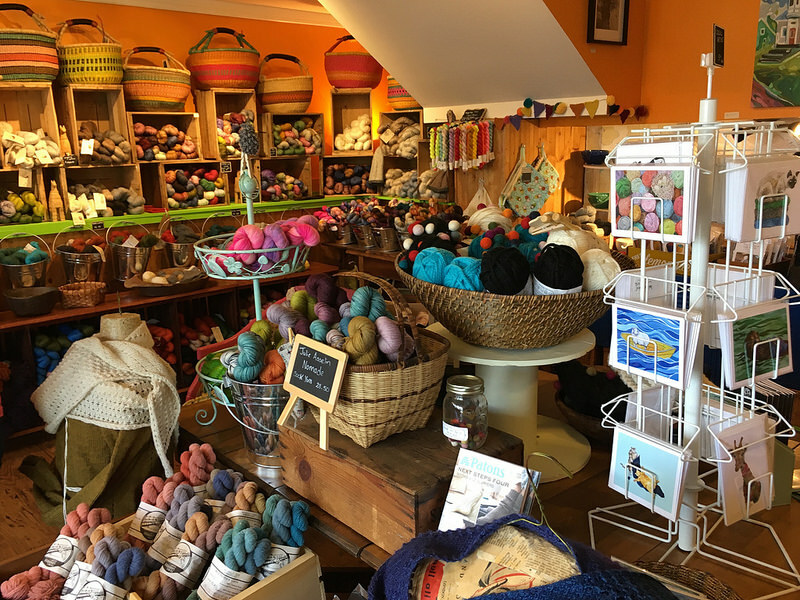 🙂 I also love Mahone Bay – I’ve bought many a skein at Have a Yarn and Woolworks is such a great addition. And don’t forget to get a cone at The Perfect Scoop on your way out of town! WOW. Book me to Nova Scotia! 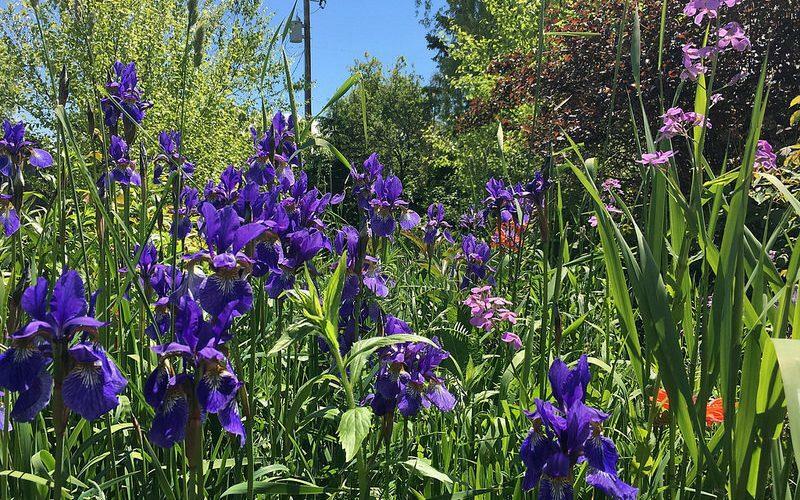 Lovely article – the maritime provinces are a jewel in Canada’s landscape. I invite you to also investigate the knitting heritage of New Brunswick, PEI and Newfoundland, not to mention the wonderful landscape and friendly folk who inhabit said provinces. Of course knitting opportunities abound in the rest of the country as well, such as southern Ontario where we live. The timing of this is too perfect! We will be vacationing in Nova Scotia at the end of August for a week. I look forward to visiting all these sites. To keep the hubbo happy too will need to include some hiking. Any suggestions? I’m not a big hiker but I’ve heard Cape Split (near Wolfville) is amazing. Have a great trip! there are a lot of trails in Nova Scotia, for all levels of hiking. This site has a bunch of different resources with maps which should help. 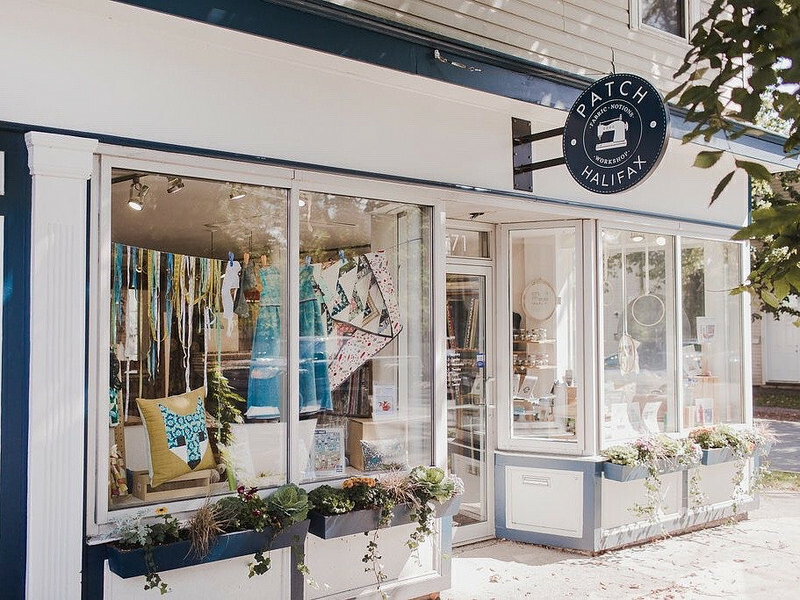 I’ve been to all of these shops within the last weeks (I live just outside of Halifax) and they are definitely worth a visit. I was in Halifax and Lunenburg and Mahone Bay just three weeks ago. 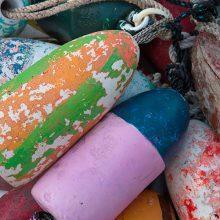 happy memories of sunshine, seafood, friendly folks and Adirondack chairs! can i also add to the list of stores the WoolWorks studio run by Heidi Wulfraat on the outskirts of Mahone Bay. lots of hand dyed yarn as well as supplies for knitting, spinning and weaving. I’m so glad you enjoyed your visit! WoolWorks is fabulous – and Heidi’s hooked rugs are so beautiful!! O my gosh! What a perfect place–after looking at Google maps I do think Austen could maybe do a series.Thank you! This brings back memories of our holiday in May when we visited Halifax and Lunenburg. 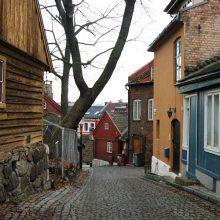 We visited lots of the same places and I have my yarn from the Mariner’s Daughter ready to knit a shawl. I love Nova Scotia. It’s time to visit again. Thanks for the added incentive. The Lunenburg County Fibre Trail is brilliant for those of us who love local yarn! What a great resource – thanks for sharing, Melissa! A great reminder of my days spent in Nova Scotia last summer. 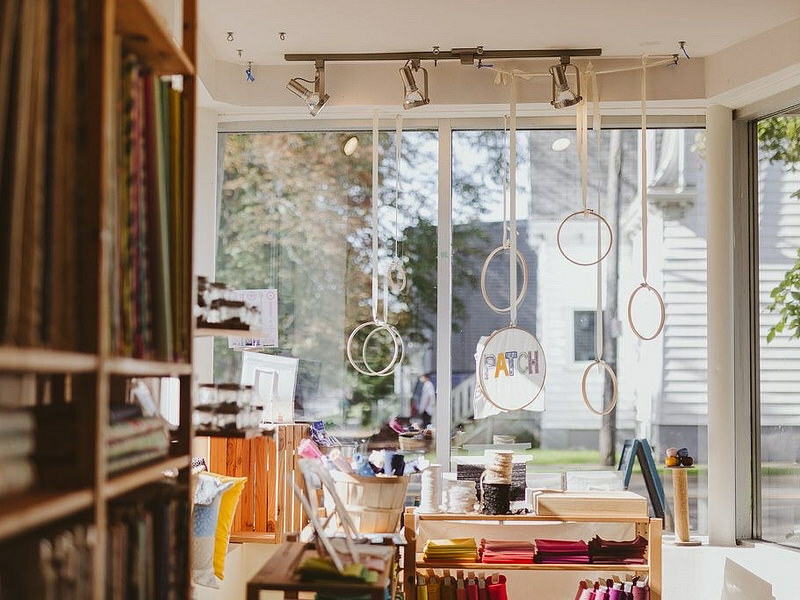 Loved all the yarn shops you mentioned including The LOOP and Have A Yarn in Mahone Bay. It was a memorable trip. Please put a Knitters retreat together. I am checking on prices for next year. You could be our wonderful teacher and guide. Wouldn’t that be fun? Great idea! I’m in Halifax at this moment! My suitcase is bursting with fiber. Weve visited most of the places you mentioned plus lots of sheep farms in NS and PEI. Wonderful places, friendly people, fabulous wool. Taking great memories back to California tomorrow. Sounds wonderful. 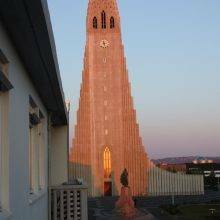 Would you be interested in planning a trip for a group of 8 in June of 2019? Be sure to bring EXTRA sweaters! One July 4th holiday weekend a couple of decades ago, it dropped to 28-degrees F one night when we were in Halifax! That night we’d layered on every piece of clothing we’d brought with us, and our very first stop next morning was to quickly buy the first fleecy tourist sweatshirts we could find! It had been 98-degrees when we’d left Massachusetts for NS, but Nova Scotia is lovely even when it’s chilly. Massachusetts still holds many annual memorials to mark the catastrophic Halifax Explosion. It was a truly huge and horrific event that hasn’t been forgotten in Massachusetts, either. Don’t miss the chance to have some Digby Bay scallops while in NS! I’ve had great lobsters and clams lots of places up and down the eastern seaboard, but the scallops in NS are beyond superb! If you like scallops, you MUST have some while there, or maybe for every lunch and dinner. I would love to make this trip to Novia Scotia as described. When is the best time of year to go there? 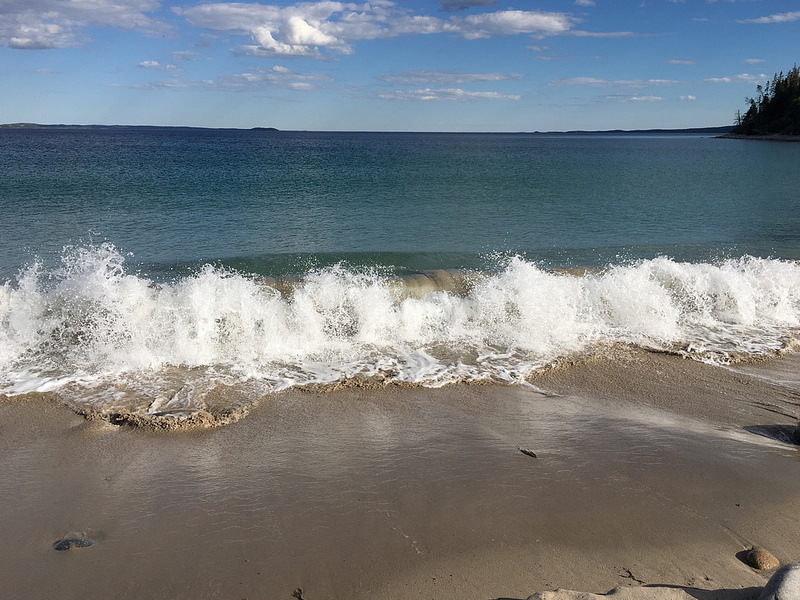 September – the air is cool enough to be comfortable and the ocean is still warm enough to swim in. I spent several weeks over a period of several years going to the Lunenberg Folk Harbour Festival. I loved Nova Scotia! The coasts are stunning, Halifax was so fun, the seafood delicious (second the scallops recommendation). Unfortunately I was not as much of a knitter then and did not know of any of these marvelous places. Looks like I’ll need to make a return trip! A perfect weekend I’d say Austen! I wish there had been time to visit Heidi Wulfraat WoolWorks Studio in Mahone Bay. 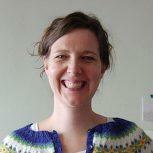 Heidi is a graduate of the City and Guilds of London (creative textiles) and has won many award for her work with fiber. She has a spinning and weaving studio, and offers quilting & knitting supplies too! I am glad to see others have mentioned Have a Yarn. You were so close to Mahone Bay. I grew up in the area, but now live in Florida. When I get home I always go to the shops you mentioned, but Have a Yarn has been around for as long as I can remember. Although now they are in a larger location a couple of doors down from their old building. Will there be a similar retreat in 2019? If so, how do I sign up? Thanks!